Featuring all the quirky characters we have come to know and love, The Unbearable Lightness of Scones, finds Bertie, the precocious six-year-old, still troubled by his rather overbearing mother, Irene, but seeking his escape in the Cub Scouts. Matthew is rising to the challenge of married life with newfound strength and resolve, while Domenica epitomizes the loneliness of the long-distance intellectual. Cyril, the gold-toothed star of the whole show, succumbs to the kind of romantic temptation that no dog can resist and creates a small problem, or rather six of them, for his friend and owner Angus Lordie. 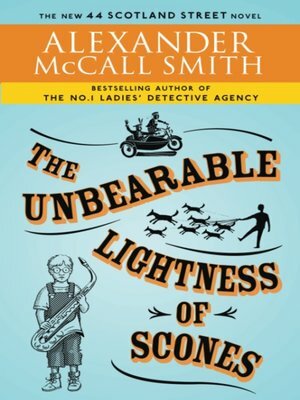 With his customary deftness, Alexander McCall Smith once again brings us an absorbing and entertaining tale of some of Scotland's most quirky and beloved characters--all set in the beautiful, stoic city of Edinburgh.